This is a great Children’s board book to read with your children of most ages. Hermie the “little wormy guy” as my children call him is wonderfully illustrated. The message is to be thankful for everyone and everything that god has blessed us with including ourselves. As a mother of 8 children I am always looking for books that show positive values to my children from an early age. With this being available as a board book, it is great for even my one year old. We found an added bonus to be that our 2 year old twins found lots of things they wanted to count in the illustrations. 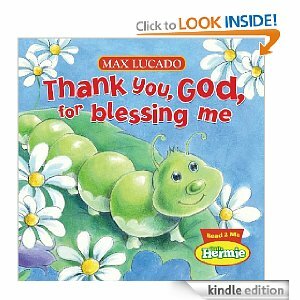 Although I think this is a great book any time of year I was grateful to read it around thanksgiving time as I am teaching my children to give thanks for everything that god has given them. The short length (5 pages) makes it perfect to keep the attention of young readers.